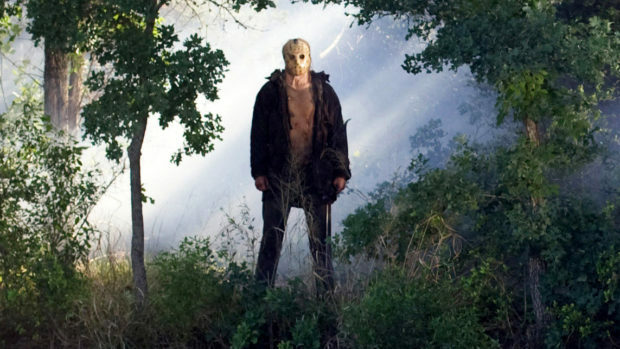 When producers of the new Friday the 13th reboot announced their Jason Voorhees, I had particular reason to be excited. I had known him for almost twenty years. Derek Mears was fresh out of high school when he joined ComedySportz, an international league of improvisational comedy teams. That was back in the early 90s, and our two cities (San Jose and Bakersfield) would often face off in friendly matches. We bonded over both being Dereks, and long before the internet and Hollywood zeal brought comic book fans into the mainstream, we had a great time comparing notes on our comics fandom. After college, Mears moved to Los Angeles, where he carved a niche for himself as a stuntman with acting chops, and an ability to bring life to heavy make-up prosthetics. He’s been a variety of creatures over the years, including for both Men in Black movies and Jon Favreau’s Zathura. And yet despite a skiill for monstrousness, he’s an incredibly talented comedian, actor and singer. You can check him out sans make-up in this video from Channel101.com, a website featuring a lot of L.A. comedy minds (including Jack Black and Drew Carey) throwing together low-budget but entertaining pieces. At Comic-Con this past summer, the two of us finally got the “official” go-ahead to talk — and here’s the conversation. Later, Mears confided one other important piece — as a young kid, he used to dress up as Jason for Halloween. So clearly, it’s fate. Derek McCaw: What is going to be the difference between you playing Jason and guys like Kane Hodder? What makes you the Jason for the 21st Century? Derek Mears: Truthfully, you’d have to ask the producers or other people. I just kind of, not to talk myself up, but I just do my own thing. I’m really blown away to be here. In no way can it be a comparison from actor to actor. I think it’s more a comparison of the writing of the character. The character this time around that Mark (Shannon) and Damien (Swift) have written, it’s a fuller actual character, not just a homicidal guy in a mask. You have different notes to play. You have different ranges. You understand the extreme torment the young child has gone through. And then you have a complete flip, the other side of the emotional piano, where there’s the intense kills, the anger, the pent-up passion is released in a negative way. Compared to the other Jasons, I’m a big fan of the other Jasons. I really wouldn’t compare from actor to actor. Derek McCaw: Okay…what makes you right for this role now? Derek Mears: What I’ve been told is that they’re excited about my passion for the character. I make my living doing acting, stunts and doing a lot of being comfortable with creature prosthetics. And this character is a triangle – has all three of that added into the character. I think that’s why I got hired. Derek McCaw: What would your preferred method of dispatching naked college girls in the woods be? I have no idea where that came from. Do you mean for me or for Jason? Derek McCaw: Whichever seems safer to answer. Derek Mears: There’s so many different ways…I mean, he’s an angry cat. Derek McCaw: Let’s change that, then…what’s your favorite method of dispatch that Jason has used? 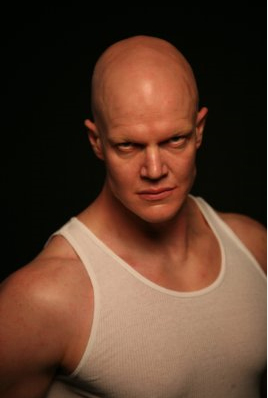 Derek Mears: Oh, man. The sleeping bag kill. Where he picks her up – is that in 6 or 7? They’re going to kill ME that I can’t remember – he slams it against the tree over and over again. That’s so great. I love that one. Derek Mears: It’s true, it’s true. Derek Mears: It’s funny, because you and I know each other from a background of…we started off doing improv comedy together. It’s a big leap between the two. He’s a nice guy. Really. Derek McCaw: So when are you going to get the nice guy role – or would you want to? Derek Mears: Totally. They’re just different aspects of my personality. There’s a “hey, I love everybody…” and have a good time playing with friends, and there’s another side where you switch to fight mode, and I want to rip everybody’s head off. Derek McCaw: You’ve done a lot of work with (the comedy website) Channel 101. Are you going to use this new juice you have to help them? Derek Mears: Of course. That’s my family. I’ve learned so much from Channel 101 that I’ve brought to the industry with me as a learning ground. And it’s just plain fun. 101 has been really helpful with that. It’s been a great outlet. Derek McCaw: Are you with this role for the long haul, assuming there’s a Friday the 13th Part 2? 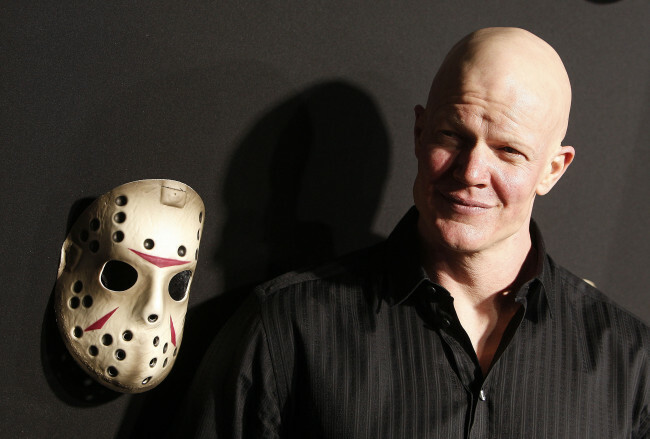 Derek Mears: Or a Saturday the 14th? Derek McCaw: If they remade that one, would you play the Jeffrey Tambor character? Derek Mears: No. Noooooo. No. Derek McCaw: Seriously, we know Jason’s not a character that – oh, even if he does die at the end of this movie, he’ll be back. Derek Mears: If it’s a similar tone, if it’s a similar character as it was in this one, I would love to. But of course, that’s up to the producers, if they want me back. If it’s this type of Jason, the intelligence and the actual character, you could go places with it. So yes, I would love to.